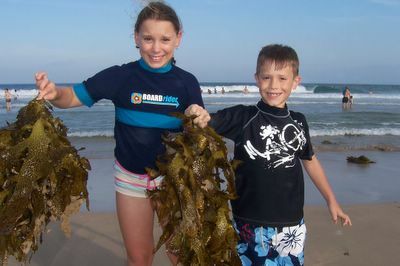 Yuck - tons of seaweed at the beach! Lots of police presence on Cronulla Beach. Adam had fun drawing SpongeBob in the sand.